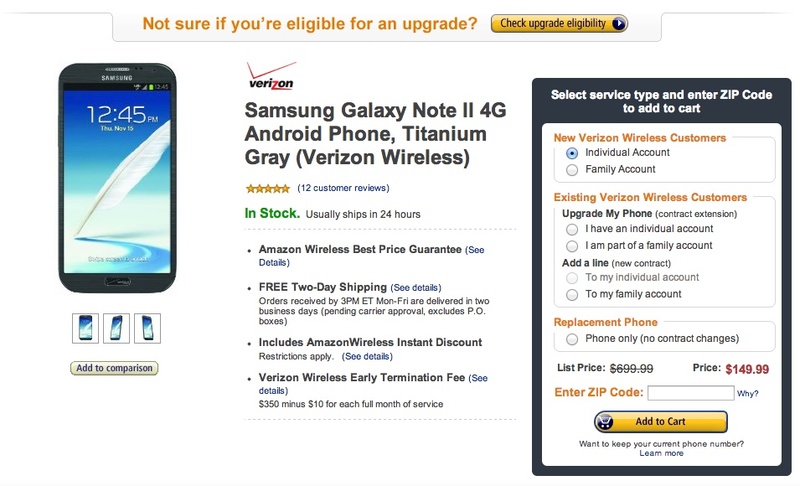 Amazon appears to have dropped the price of the grey version of the Samsung Galaxy Note 2 from Verizon to $149 for new lines and $189 for upgrades. Still priced at $299 on-contract from Big Red directly, this may be the best deal you will find on the internet. The white version can be had for $199 for both new lines and upgrades. If you haven’t already, be sure to check out our review of the Galaxy Note 2.